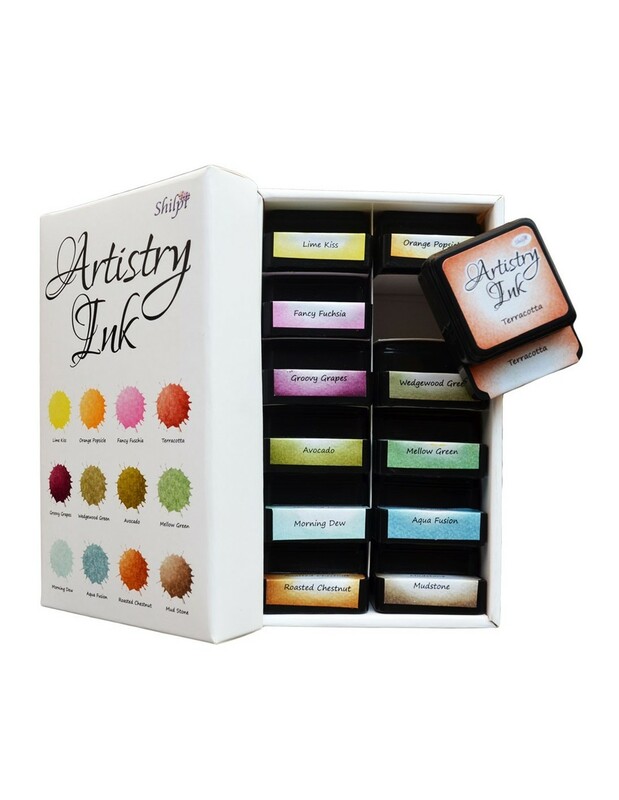 Artistry Inks in Mini Size (1X1). 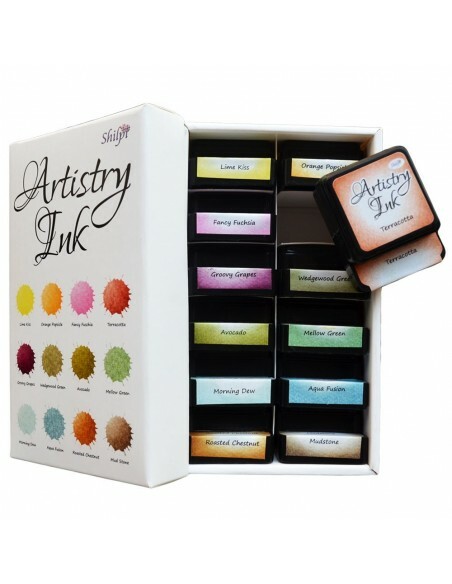 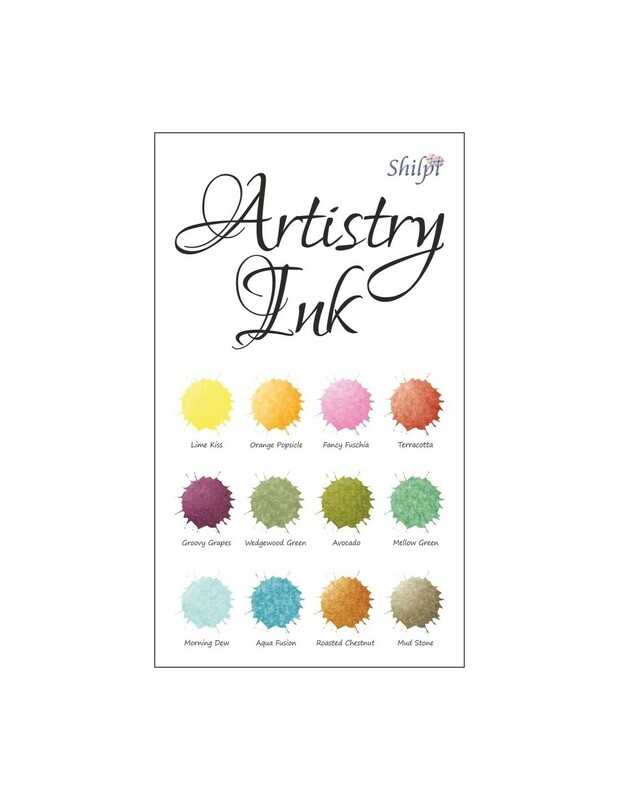 Set of 12 inks in easy to store and carry attractive box to keep them organized. Stack-able pad that shows ink names even when they are stacked. 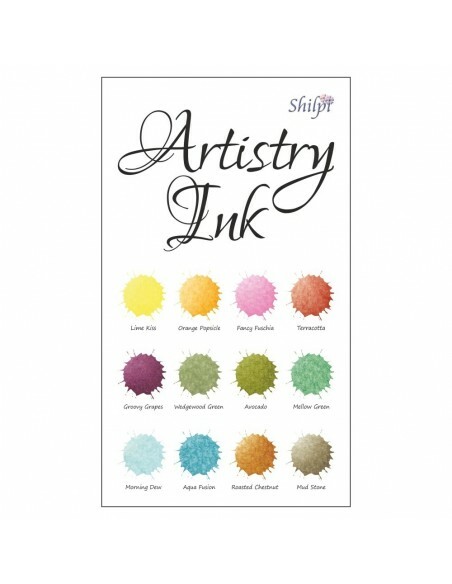 Ink name mentioned on pad as well as on lid so you know the color you are using even when the lid is open.